Villa Della Porta Bozzolo, a 16th-Century manor house, lies in Casalzuigno. You can see a 16th-Century wooded Press for squeezing, a Mill for grinding walnuts and hazelnuts for oil, the Wine Cellar with ancient casks and barrels, a 16th-Century refrigerator for storing foods. 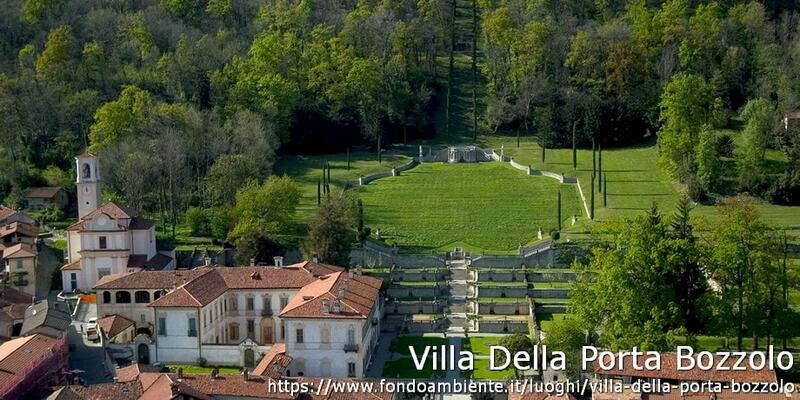 Today Villa Della Porta Bozzolo is property of the FAI. Constructed for the Della Porta family as premses for a country-side business (the silkworm collecting room, the cellars and the presses still exist) and is surrounded by a huge garden which stretches to the hill that stands towards the front of the building. The park hasn't lost its agricultural productive roots over the century. 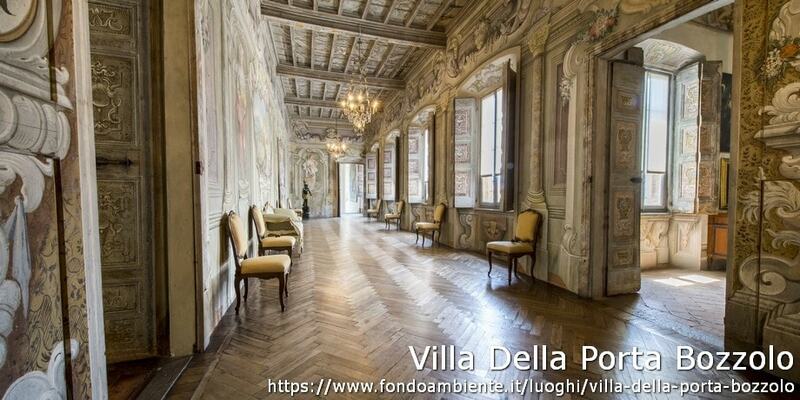 During the Eighteenth-Century the Villa reached the peak of its splendour. The years that followed marked the slow decline of Della Porta family, and the corrisponding decay of their manor. 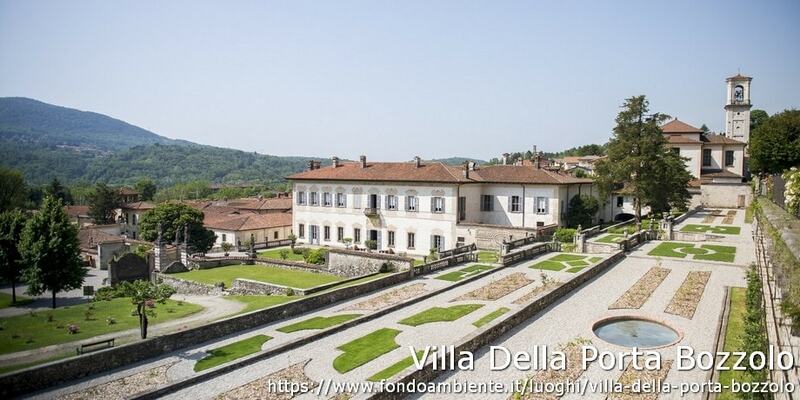 At the end of Nineteenth-Century the Villa passed to Bozzolo family . They carried out much restoration work and they created new additions in an attempt to transform the ancient structure into a confortable and modern summer residence. You can see a Sixteenth-Century wooded Press for squeezing grape dregs, a Mill for grinding walnuts and hazelnuts for oil, the Wine Cellar with ancient casks and barrels and the Ice House (the Sixteenth-Century refrigerator) for storing foods. Then followed a period of neglect.The Villa despoiled of many of its treasures. 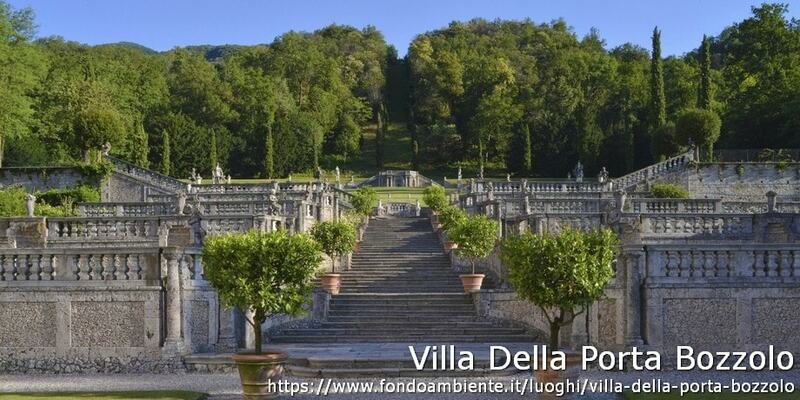 In 1989 the Bozzolo heirs donated the Villa to FAI , while retaining the use of a small part of the property for the family.